The Convention of International Trade in Animals (CITES) is the organization that monitors, restricts or allows and licenses trade in animals. Within days now, world wildlife experts will be gathering in Johannesburg at the CoP 17 meeting, the event that determines the next round of changes in status. In reality it is a sideshow of what species will be tipped to go extinct next and who has the political clout to win the battle for (or against) these 35,000 species. It is here that the major hunting lobbies fight for the right to shoot lions, (despite them being down in population number by 95% over the last 60 years) and polar bears (now back open to be hunted, despite their desperate lives on melting icecaps). There seem to be three species that deserve our attention right now, the three pillars of Africa: lions, elephants and rhinos. Each is in trouble. Next week we hope that sanity, and not politics, will prevail. I wonder if this age of consuming of wildlife will ever be over. Stopping the killing of these animals for sport seems like a good way to reduce the destruction. Many hunters will tell you that it is all about conservation. Sadly the argument has more holes in it than Cecil the Lion, with less than 0.27% of the average hunting country's GDP coming from hunting, and even then little or nothing going back to conservation or to the surrounding communities. 'Sport' hunting is probably responsible for about ¼ of the annual decline in lions alone. This is something we can stop. And we should. The hunting era is over. But what is the next era? On September 22nd, World Rhino Day, the two African rhino species may well be even more pivotal in determining what that next era is. Rhinos are trapped in a political quagmire where the world is pretty unanimous that killing rhinos to chop off their horns, to grind up into powder and mix with miscellaneous other things, from cow hooves to latex, to cure cancer is probably an awful idea. But there is a market for this rubbish. Poaching has increased phenomenally over the past 10 years. 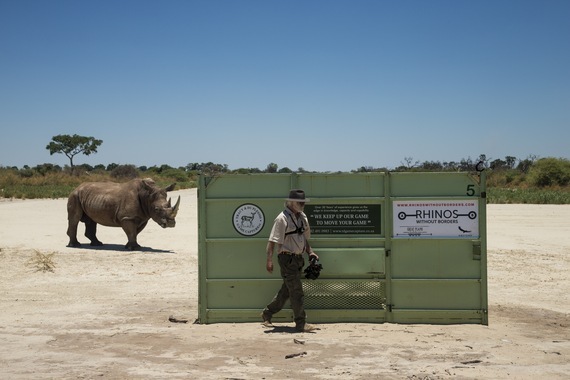 Just a decade ago Africa lost 6 rhinos a year. In 2014 that official number was up to 1,215. Then governments with high poaching decided to stop releasing figures but to say that the good news is that the 'increase in poaching was decreasing.' That is not a very comforting statement, especially when a 'decrease in the increase' of poaching may well be because of a decline in rhinos and they are now hard to find. Easy right? Ban it, shut it down. While this debate is going on people like the infamous Mr. Nivara, in Mozambique continue to operate into South Africa with relative impunity with organized poaching rings consisting of bands of three men: a shooter, a porter and a runner/water carrier. The cost of horn on the streets of Vietnam is now over $108,000 a kg, that is worth three times what gold is (and cocaine.) 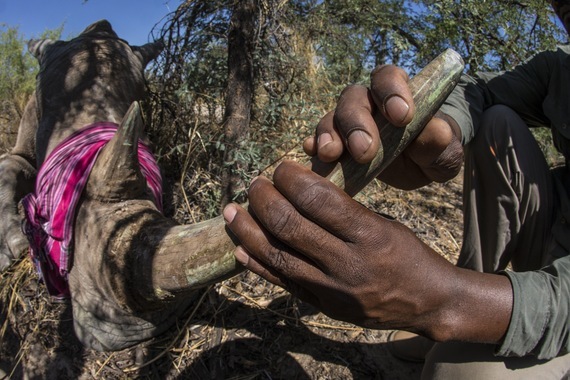 A poaching unit receives about 8-12% of that, so the take home income is still a lot higher than an honest job in the Mozambique town of Masingier, where many live. 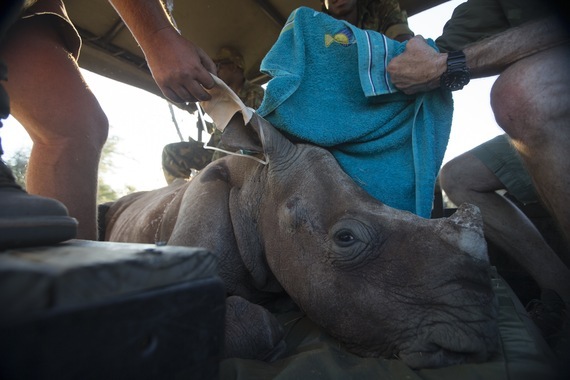 It is in these dark markets of the world that the poaching and rhino trades carry on. 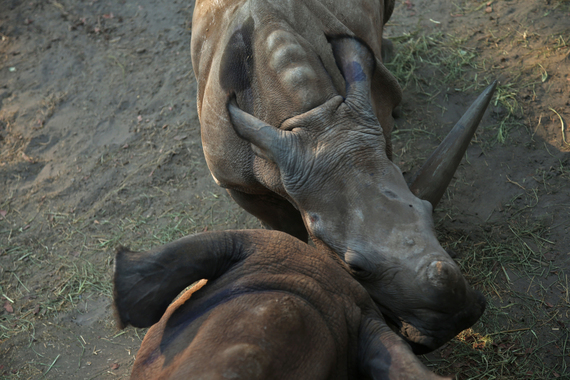 If we lift that ban on rhino horn the market suddenly gets a lot bigger and swells to nearly 2 billion people. The last rhinos (24,000) are never going to be able to produce this amount of legal horn, so the surge of demand will drown our wild rhinos in a short time. 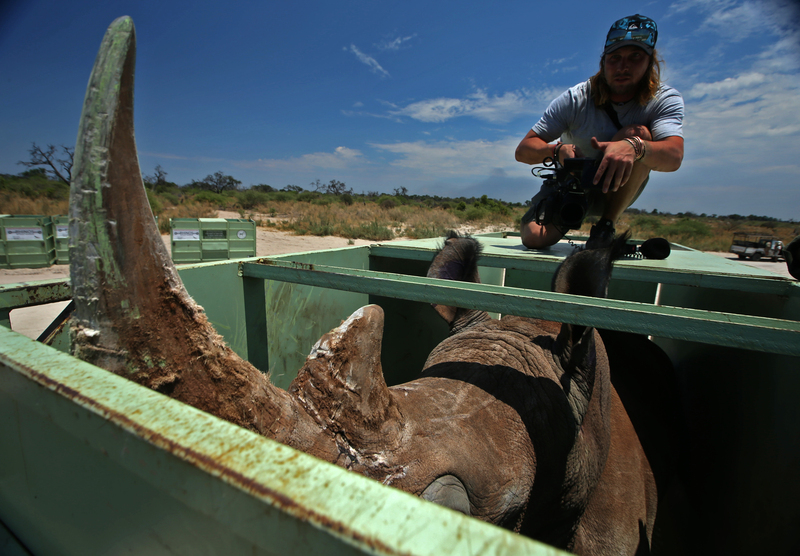 The gathering next week will send a signal to the world and to the poachers and traders. It will be a similar message that was delivered years go, when CITES agreed to allow some ivory trade. In advance of the announcement, just on rumor of it, ivory poaching soared and we saw ivory poaching increase to a scale where we now lose nearly 100 elephants a day and ivory prices increased 10 fold virtually overnight. This is a balance between risk and reward. If we increase the reward (making it legal, pushing prices up) we make it a lot more attractive to poachers. 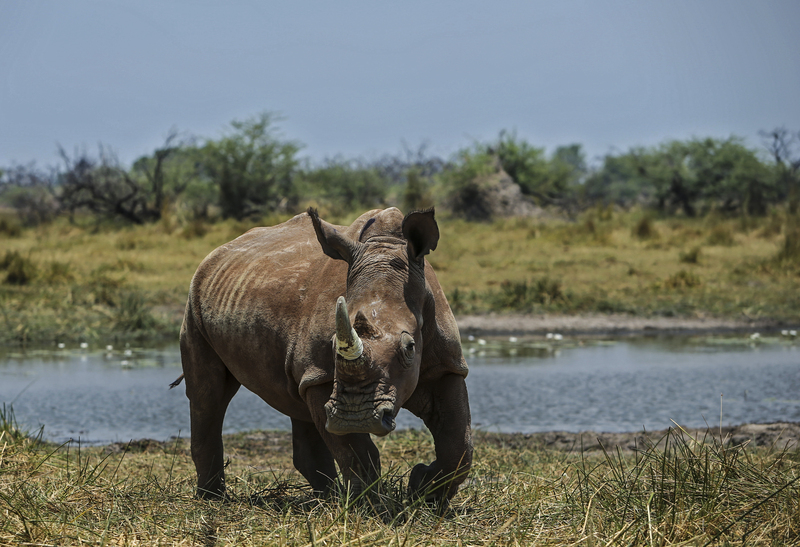 On the other hand, if we increase the risk, and reduce the reward, that is the formula for killing poaching and reducing the threat to these endangered species. One way to do that is to move rhinos to greater protection. And that is what we are doing right now with Rhinos Without Borders, moving 100 rhinos to Botswana where the protection is bordering on severe. In fact, there is a shoot to kill policy on poachers, and while we will all see increased poaching levels everywhere in Africa, it is still the safest and most protected place in Africa. Moving rhinos and distributing the DNA from prior bottleneck situations in their past is a great and very well accepted conservation method, but mostly this is about actually doing something rather than standing by and hanging our heads in collective shame as the rhinos, these lumbering, almost dinosaur-like giants walk their way into extinction. I am not sure that there should be an international body for trading in animals come to think of it. Hasn't that era of trade come and gone as well?